Senior Advisor, Tembusu Partners, served 6 years in StarHub and 10 years in MediaCorp in technology leadership and business development appointments. Mr Mock Pak Lum is a senior advisor with Tembusu Partners, a private equity firm. 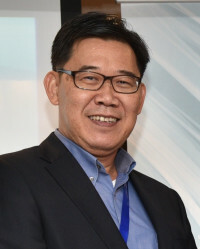 Pak Lum is well versed in the TMT space having served 6 years in StarHub and 10 years in MediaCorp in technology leadership and business development appointments. Pak Lum graduated with First Class Honours in Electrical and Electronics Engineering from the National University of Singapore in 1984. In 1989, Pak Lum obtained an MBA degree from the Anderson School of Management in UCLA. Pak Lum is currently exploring investment opportunities in the blockchain and crypto-currency areas.